make it more difficult to win compensation. where there is a problem, it tends to be one of perception. However, the government ignores the evidence and continues to peddle health and safety myths and nonsense. UNISON believes that those who are injured, made ill, disabled, or even killed by poor health and safety at work deserve more respect. As do the families left behind. Each year, on International Workers Memorial Day, UNISON, other trade unionists, campaigners and workers from across the world Remember the Dead, Fight for the Living. 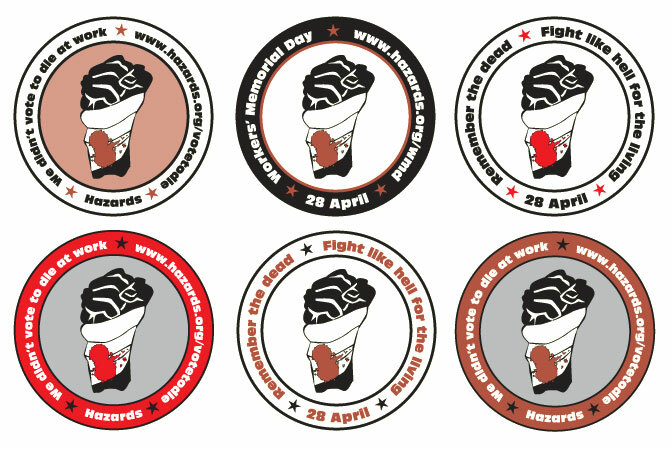 This year, International Workers Memorial Day falls on Saturday 28 April. In Manchester, a special march and rally have been organised to mark the day. The march meets near the CIS building, on the corner of Corporation Street and Miller Street, Manchester at 12.00 noon. March commences at 12.30pm to finish at Albert Square with a rally. Click here for more, and a poster for the event. Remember the Dead, Fight for the Living is the slogan for International Workers Memorial Day. The purpose of the day is to not forget those who have been needlessly killed, injured, or made ill by their work. But perhaps more importantly, it’s also about using this human tragedy to strengthen the campaign for safe and healthy work. No one should be put at unnecessary risk at work. UNISON believes that work related deaths, injuries, ill-health, and “accidents” are not acceptable. Your employer has a responsibility to ensure that your work does not cause you harm. Not only is it the right thing to do – it’s the law! And at a time when health and safety is set to get worse, the spending cuts are also reducing the ability of the enforcement authorities to inspect and enforce on health and safety. The Health and Safety Executive’s budget has been cut, as has the money from central to local government (who employ environmental health officers, many who are UNISON members). UNISON takes health and safety seriously, and is fighting government plans that will put lives at risk. For more on the UNISON campaign against the government spending cuts click here.